Florida Governor Rick Scott, from the convention host state. About the 2012 Republican National Convention The 2012 Republican National Convention will be held at the Tampa Bay Times Forum August 27-30, 2012. Nearly 50,000 visitors are expected to come to the Tampa Bay area for the event, including delegates, alternate delegates, media and other guests. 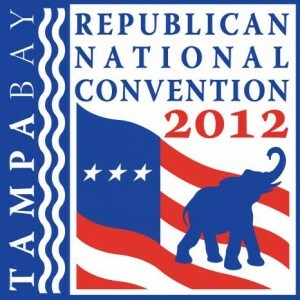 More information about the 2012 Republican National Convention, is available at www.ConventionWithoutWalls.com or www.GOPConvention2012.com.